This book examines the processes at issue in the onset of psychiatric disorders linked to stress in the workplace. Six clinical observations are presented: an acute psychosomatic decompensation (status asthmaticus); a delirious episode; a dementia-like confusional state; a sexuality disorder; two successive decompensations (one in a victim of workplace harassment and one in her aggressor); and a suicide. Each is explored in detail, from aetiology to treatment, bringing into sharp relief the differences between conventional analysis and the interpretation of material in light of the reference to work. 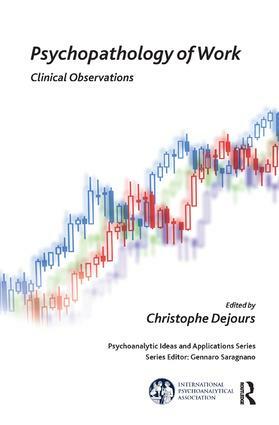 These studies have been written by psychoanalysts and may be used as a training resource for practitioners and students alike. For any professional or researcher involved in the world of work, these observations will offer a deeper understanding of this particular work-related mental pathology which characterises the development of our contemporary society.